Limestone Hills is the only truffière (truffle plantation) in New Zealand successfully growing four prime species of truffle — the Périgord black truffle, Tuber melanosporum, the bianchetto white truffle, Tuber borchii, the Burgundy truffle, Tuber aestivum/uncinatum, and the winter black truffle, Tuber brumale. Our limestone-rich soils and warm site make us uniquely suited to truffle production. We planted our first trees, 200 seedling oaks and hazels infected with the Périgord black truffle in 1997, and harvested our first black truffles in 2006. We were amongst the first properties to plant trees infected with bianchetto and Burgundy truffles in the early 2000s, and began production of both in autumn 2012. 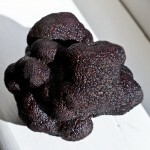 To date, we are the only truffière producing commercial quantities of Burgundy truffles. 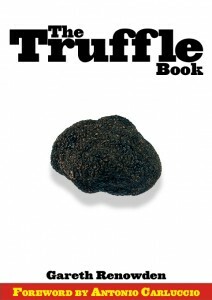 This is a Périgord black truffle of just under 200 grammes, worth around $600 at NZ market prices. The classic truffle of French haute cuisine, and a regional speciality in the Périgord and Provence, it has a powerful perfume, with notes of flowers, spices and forest floor, and can transform any dish into something really special. Like all truffles, it has an affinity with eggs, and we always eat our first black truffle of the winter in a traditional Provencal brouillade — truffled scrambled eggs. We started producing bianchetto (right) in the autumn of 2012, and have come to love this “little white” truffle for its strong, almost aggressive perfume, and taste that has notes of garlic and parmesan. It’s a close approximation to the world’s most expensive truffle — the Italian white truffle, Tuber magnatum — and works really well used in the same ways: tossed through pasta and shaved onto risotto. Our first Burgundy truffles — that’s an immature truffle on the left — also turned up in autumn 2012, and we later found a beautiful 330 gram Burgundy truffle that went on to be used in a special 10-course, three truffle celebration dinner prepared by Jonny Schwass, one of NZ’s top chefs. Our Burgundy truffle trees — 13 of them — are very prolific truffle producers, but the demand for this affordable and flavourful truffle is very high and supplies will be tight until we can plant more trees and bring them into production. Our truffle season runs from midsummer through until late winter, though the precise start and finish of harvesting can vary considerably from season to season. 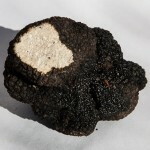 The Burgundy truffle usually kicks off our season in January, and the bianchetto joins in from May. The Périgord black truffles to be at their best through June/July and into early August, but by mid-September the harvest is complete. The majority of our truffles are sold to some of the finest restaurants around New Zealand. Our regular customers include Pasture, Orphans Kitchen and Cocoro in Auckland, Logan Brown in Wellington, Gatherings in Christchurch, Roots in Lyttelton, the Black Estate and Pegasus Bay winery restaurants in Waipara, and the Amisfield winery in Queenstown. During the annual Canterbury Truffle Festival in July, Gareth can be found selling truffles at the Waipara Valley Farmer’s Market on a Saturday morning. To check on availability please subscribe to our harvest newsletter (click here, or fill in the form below), or contact us via the contact page. 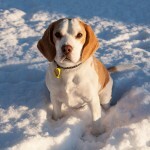 During the truffle season we can organise truffle hunts and truffière tours with Rosie the truffle machine. Please email for more information and to make a booking. 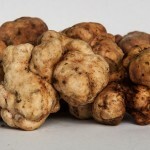 During the season we can normally guarantee to be able to show you a truffle being harvested, and after a hunt truffle may be available for purchase at current market prices. We can run truffle tours out of season – September to December – and can usually show truffles in the ground, but fresh truffle will not be available. We recommend visitors combine a truffle hunt with lunch at the award winning winery restaurants at Black Estate or Pegasus Bay, who often feature our truffles on their menus.